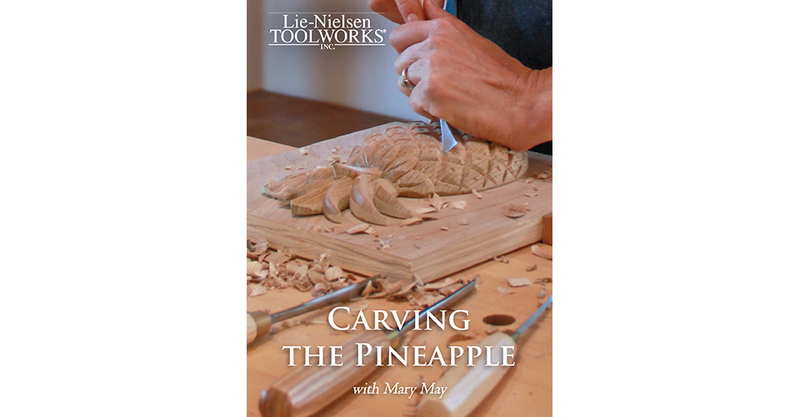 In this DVD, Mary May demonstrates how to carve the pineapple, a traditional symbol of hospitality and welcome. She will teach you how to transfer the design to your wood piece, secure it to a backer board, which tools to use, and then show you how to carve the pineapple from start to finish. Mary May is a professional woodcarver in Charleston, SC, who specializes in decorative carvings for architecture and furniture. She studied and worked with master carvers in Greece, England, and Malaysia to learn the traditional techniques of classical woodcarving. In addition to teaching at various schools and guilds across the USA, Mary offers carving classes through her online video school at: www.marymaycarving.com/carvingschool. 104 minutes, Lie-Nielsen Toolworks Productions, 2016.